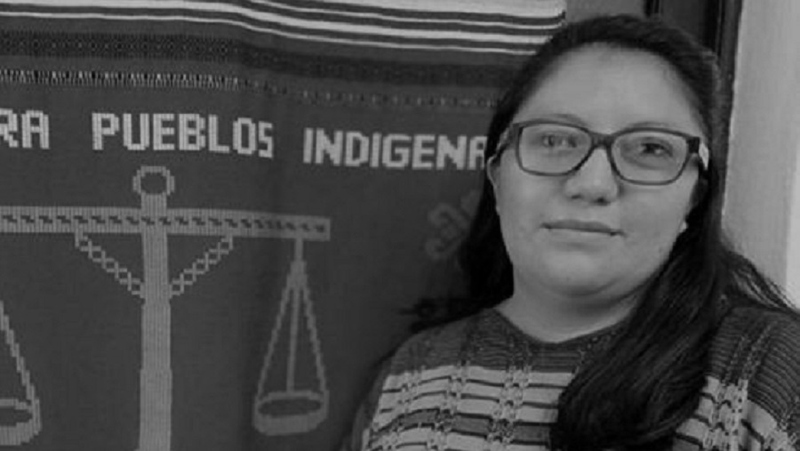 Defense of the right to access to justice; the rights of indigenous peoples. Attempted arbitrary arrest; excessive use of force. 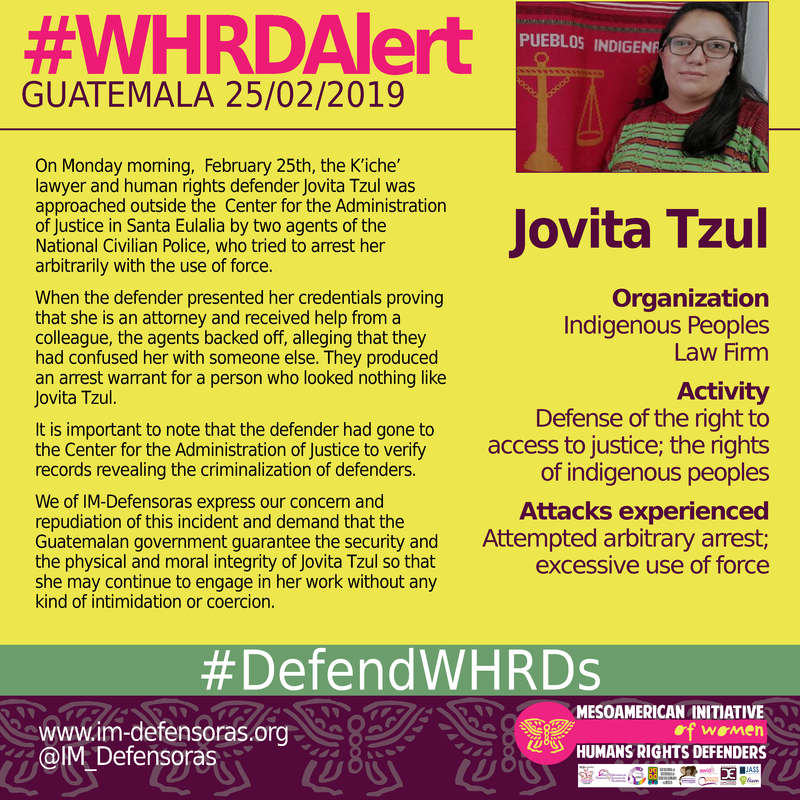 THE FACTS – On Monday morning, February 25th, the K’iche’ lawyer and human rights defender Jovita Tzul was approached outside the Center for the Administration of Justice in Santa Eulalia by two agents of the National Civilian Police, who tried to arrest her arbitrarily with the use of force. When the defender presented her credentials proving that she is an attorney and received help from a colleague, the agents backed off, alleging that they had confused her with someone else. They produced an arrest warrant for a person who looked nothing like Jovita Tzul. It is important to note that the defender had gone to the Center for the Administration of Justice to verify records revealing the criminalization of defenders. We of IM-Defensoras express our concern and repudiation of this incident and demand that the Guatemalan government guarantee the security and the physical and moral integrity of Jovita Tzul so that she may continue to engage in her work without any kind of intimidation or coercion.